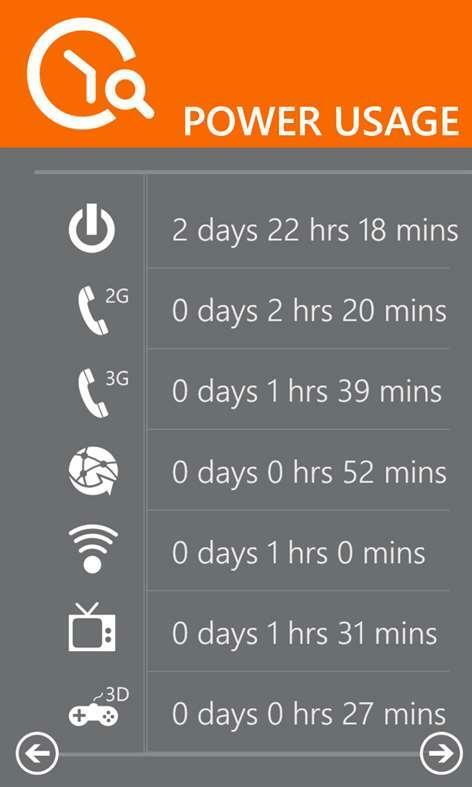 Many users wonder why would they need the battery saver apps on Windows phone. Though Windows phone are exclusive to specific models from the manufacturers and often optimized for the better performance, it's not hard to see that with the graphical improvements being done on the front-end has resulted the device taking more CPU power. And in turn reducing the battery performance. And for this reason like any other phone operating system, it helps to use the battery saver app on Windows phone as well. Let's take a look at some of the battery saver apps that you can use on Windows 10 phone. Unlike other battery saver apps, BDP focuses more on the background tasks that are draining the memory. This approach to find the memory leaks and power drain helps you understand how to optimize the battery. For example GPS and Browser if running on their own without being used can drain a lot of memory from Windows. And for this reason you should keep the GPS active only when required. You can also set some of the permissions on manual settings. This way the services will be started only when the respective requirement is triggered. You can also access some of the battery related information from the app dashboard. All of this is being offered free of cost and there seems to be some in-app purchases but not required unless you're using phone regularly. Battery plus is not just trying to save your battery. But it is offering you more control over managing the battery configurations of your device. It has simple interface that shows you how to navigate across some of the battery options. You don't need admin access in order to perform some of the tasks. You can easily tweak the battery in such way that you'd be able to refresh some of the services and background tasks when you want them to run. You'll also get hints and tips on how to setup background services to take less battery. If you're using earlier version of Windows then you can get the information of the battery on the tiles and can track the battery charge cycle. The app is free to download and use on Windows store. 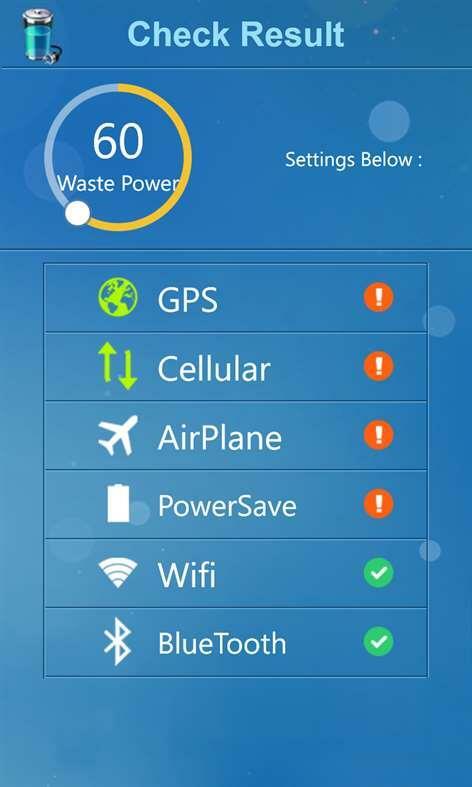 Battery Saver app focuses heavily on the optimization of the phone tasks to save the battery. So you may find that instead of just showing the battery performance on the tile, it does few more things. It goes to show you the apps which are responsible for the battery drain. It also comes with different power modes that allows you to optimize the device for different power saving settings. Another useful feature of the app is that it can generate the custom alerts if the battery level is critical. It can also be set to notify if any app or background service is taking more battery. So I'd recommend this app for those who like to have more control and insights on the battery level. The app is free of cost to download from the Windows store. It is also backwards compatible with the version prior to the Windows 10. This app is more of battery manager app than saver. It focuses on optimizing the battery performance in such way that it can help keep the battery drain to minimum. It allows you more control over the services and notifications. You can enable and disable the services that are running in the background. It also keep the lock screen configuration to minimum and this way you save the battery on every step of the way. Though it's not really very strict level of the battery management app. But it does have some of level of controls that can help you save some battery over a period of time. Overall a good battery management app for those who are unsure how to manage their battery effectively. It is free of cost app so you can try this from the Windows store. Windows phone drains a lot of memory if left for the default optimization settings. In order to get the most out of the battery, you'd definitely benefit from installing the battery management apps. If you're not sure which app to use for your device, give one of the app from the list a try. And you'll find the performance improve in battery of your Windows Phone.